Social entrepreneurship essentially refers to enterprises that implement techniques to develop, fund and incorporate solutions that benefit or positively impact social, cultural and environmental issues. Here, Top 10 of Malaysia shares its list of the top 10 Malaysian women who share a fierce passion and will in bringing about a positive social change for the better through their entrepreneurial efforts. A marine biologist by profession and an environmentalist by passion, Yasmin founded EcoKnights in 2005. Yasmin spearheaded the world’s first intranasal vaccine against pneumonia for livestock at Profound Vaccine Sdn Bhd which she joined upon leaving WWF-Malaysia. Today, she advocates for environmental sustainability with EcoKnights by speaking at talks like the 14th Science Council of Asia (SCA) International Conference. Mentoring the Entrepreneurship Accelerator Program at MaGiC, she co-founded PopTani recently, an agricultural start-up focusing on aquaponics. Her awards include the Best NGO Leader Award under the Golden Globe Tiger Summit Awards for Excellence 2016 and the Comfori’s Greenman Award 2016. Nurfarini Daing co-founded myHarapan or the Youth Trust Foundation in August 2010 which has engaged over 25,000 Malaysian youths and funded over 120 social initiatives thus far as it provides conditional grants for youth-led initiatives or enterprises with social impact, replication and scalability. As CEO, Nurfarini brings with her 17 years of experience with startups and, having won the Social Innovation Leadership Award 2015, she has been a speaker at The Global Social Business Summit (GSBS) 2012 in Vienna, among others. Moreover, Nurfarini is a member of the Social Return on Investment network, Asian Venture Philanthropy network and an Alumnus of the INSEAD Social Entrepreneurship Program. Su Seau Yeen used to drop by shelters to pass extras to the children after supplying her cakes and pastries to clients. Su realised that 80% of them are raised by single parents or come from broken families and she thought that these parents should be able to work from home, just as she does with her daughter, if given the opportunity. Thus, she formed Simply Cookies in 2014 for single mothers to have the opportunity to do baking and she also conducted culinary classes for children. Su also formed Junior Nutri Chef (JNC), a social enterprise, to educate children on preventing diseases that can be spread through food. JNC is one of the top 6 finalists of Mercy Excellence Award and Simply Cookies won first-runner up for IYRES Hope Award. Empowering the people from her hometown in the rural areas of Sarawak has always been Abbie Hosanna’s dream. Upon graduating, Abbie, along with friends Daniel, Suresh and Dawson, initiated The Backyard Tour Guide project to conduct tour guide trainings and connect travellers with the people. It transited into a social enterprise called Backyard Tour under the MaGIC Accelerator Program in 2015 and has grown since. Aiming to be the leading responsible and sustainable tourism provider in Sarawak, it has helped the community bring in the dollars and cents to raise living standards whilst perpetuating the culture of the people. 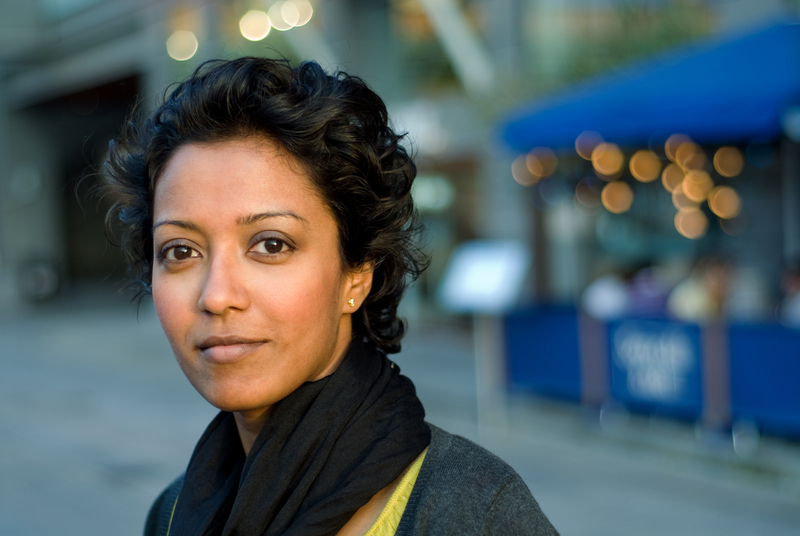 Nisha Muhammad Faizal co-founded Ecocentric Transitions with Lymun in 2010. Workshops are cinducted for youths to explore environmental sustainability by discussing environmental activities that can be done daily. Two years later, they initiated edible garden programmes and the positive reception led them to forming Garden Gym opportunities for corporate partners to volunteer in creating the gardens. Shifting the focus on socializing urban sustainability through consulting, designing and programming, they now provide ecoliteracy modules, garden build packages and consultancy. Past collaborators include the Malaysian Environmental NGO coalition where Nisha has been National Secretary and board member since 2014, associations, developers, international brands and foundations starting to incorporate environmental sustainability. 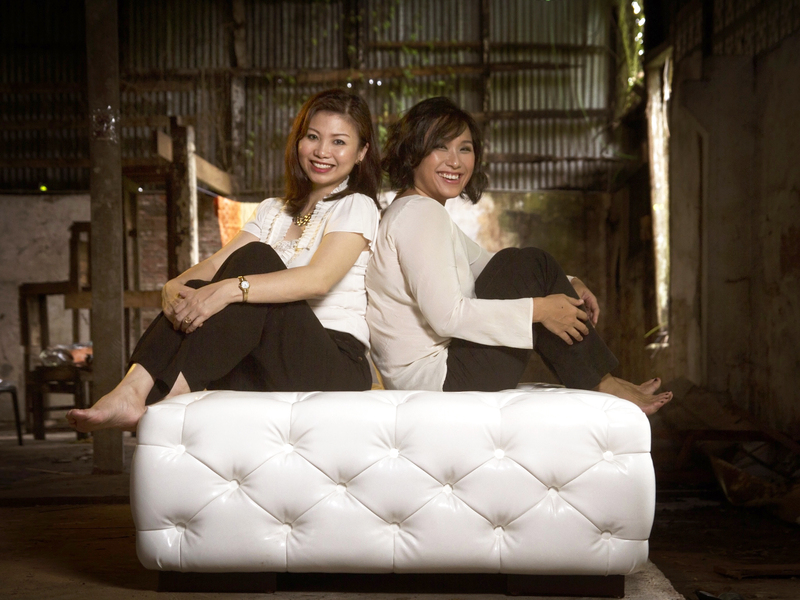 The ladies behind Tanoti, privatized in 2012, are Dr June Ngo who acts as technical and creative director for the award-winning songket atelier and Jacqueline Fong, who runs day-to-day operations. Tanoti’s mission is to empower women, preserve heritage and elevate rural communities. At Tanoti House in Kuching, young girls learn songket weaving the purist way where every process of producing songket is undertaken by hand. More recently, Tanoti has incorporated this concept with rattan craft development amongst Sarawak’s Penan tribes. Still semi-nomadic, most have no proper access to income and Tanoti aims to change this by developing their craft potential, paving their way to a wider audience. Sasibai Kimis left a successful career in finance to start the award-winning social enterprise, Earth Heir in 2013. Earth Heir began with an appreciation for craftspeople and to empower them to achieve sustainable livelihoods. Each piece of craft exemplifies distinctive, personal and cultural narratives and whilst dedicated to the creation and preservation of heritage crafts, it also focuses on sustainability as 10% of revenue is reinvested into the development of artisans, reforestation and animal conservation. In 2015, Earth Heir won the British Council and Arthur Guinness Projects Social Enterprise Award and Sasibai was an Eisenhower Fellow in the Women’s Leadership Program focusing on socio-entrepreneurship issues and preserving heritage craftsmanship skills. 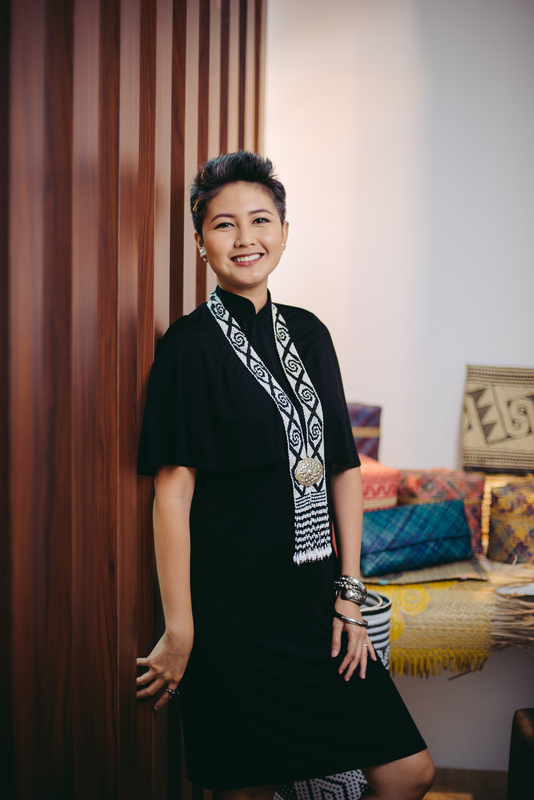 Amalina Arip co-founded award-winning Catama Borneo in 2014 as a social enterprise and design house based in Sarawak that empowers rural artisans to craft contemporary design pieces for sale to create a sustainable livelihood. Through trainings, Catama ensures youth continue to learn traditional crafts and produce designs showcasing the expertise of Sarawak’s rural artisans. Planning to launch its first complete collection of handbags, accessories and interior design products into the international market, it aims to develop a strong platform for rural artisans to achieve economic security. Having seen the positive impact of its work, Catama Borneo hopes to further enhance its impact on communities. As founder and CEO of Bluebear Holdings Sdn Bhd, Anja Juliah Abu Bakar sells Athena, reusable sanitary and maternity pads that help reduce garbage in landfills. Her Girl Empowerment Project aims to educate girls on hygiene and address the issue of girls missing school due to menstruation. Some cannot afford pads and they stay home or resort to unhygienic alternatives like old clothes. Made from eco-certified fabric which is absorbent, non-irritant and easy to wash, the pads are sewn by housewives, refugees and disabled people in the Klang Valley. Aside from trying to sponsor a girl’s education for each sanitary pad sold, Anja’s achievements include being the only Asian woman selected to attend the Social Enterprise Forum in Stockholm last year. Founded in 2011 by Kiew Boon Siew, Heart Treasures serves the underprivileged and disabled using skills development and employment as training disabled youths to make handcrafted products using recycled materials serves as a form of physical therapy. Each product incorporates elements of local culture and trainees are given allowance and after training. They are employed if they make the grade. Heart Treasures currently collaborates with a company in Kuala Lumpur to make products to order and its range of products include paper-bead jewellery, gift packaging, batu seremban sets, customized corporate gifts, customized DIY sets, eco-friendly products, graphic design and souvenirs. It also does thematic product designs for events and sells the affordable products through direct orders, exhibitions and roadshows.